Sweetest snowman ever!!!! Love the pink snowy sky too!! Nothin' better than sparkles and pink! So pretty, Lucy! Such a cute card! I love the pink! Such an adorable card Lucy I love it. Oh cute... 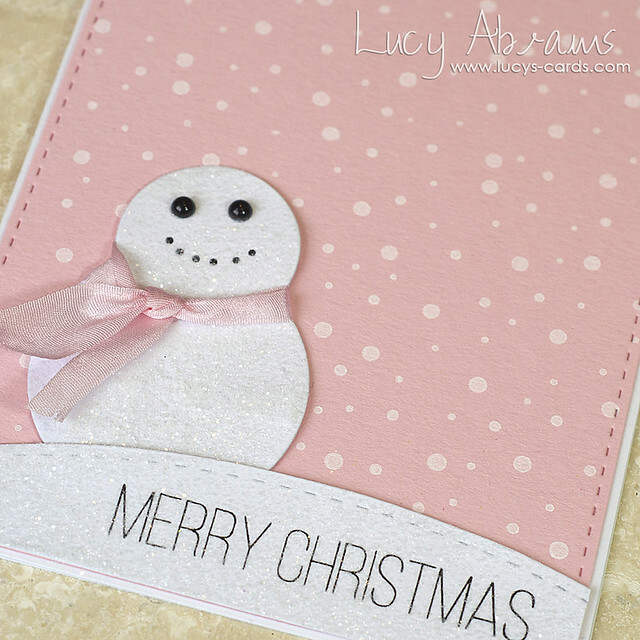 I love how you've infused pink with Christmas!! Such a sweet card.. the coloris phenomenal! My-oh-my ... what's better than a cotton candy Christamas ... love it ... thanks for going PINK for a cause with us at Jingle Belles. Wow, as sweet as a Christmas card can be!Love it!! !